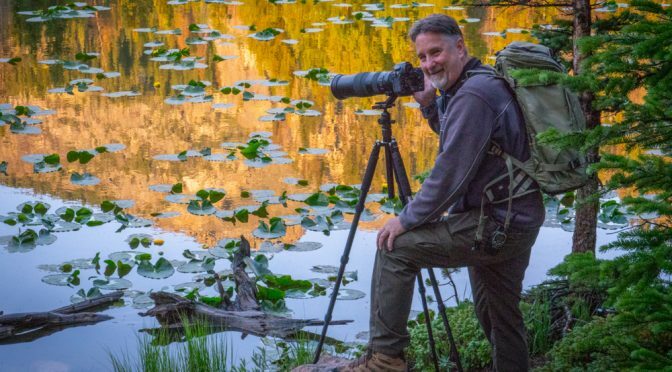 Sure we went to a lot of excellent photography locations at the best times when the lighting is optimal and when wildlife photo opportunities are most likely, but also a part of the fun is simply being around others who love photography. We had a great time together! The shared experience of getting up early and going out into this magnificent Rocky Mountain National Park, hiking together, photographing wildlife, waterfalls, mountains, and sunrises makes the experience truly memorable. We go as photographers and we come back as good friends. It happens every time! Many choose to return and do the workshop a 2nd or 3rd time, or more! I have included a few photographs (below) of our 2018 participants. I hope you’ll join us for the fun and adventure! The 2019 Rocky Mountain Photography Workshops are already over half full, so now is the time to be signing up! CLICK HERE to learn more about the workshops and to register. Kevin's book "30 Practical Tips for Better Photographs" is available in print and on Kindle devices! Available in print and on Kindle! Rated ***** 5 stars by readers. LifeInsights Group – You are invited! Please Share KGPhotoWorkshops Blog With Your Friends! Here Are Some Awesome Cameras! 11740 Jollyville Rd. Suite 400, Austin, TX 78759 www.KGPhotoWorkshops.com © Kevin Gourley Photography - All rights reserved.